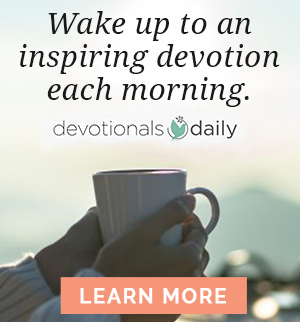 Editor’s note: Grab your Bible and a cup of coffee and set aside devotional time for a look into Thessalonians with Pastor Max Lucado! Life Lessons is a series of studies on the books of the Bible that includes Bible reading, reflection, spaces to answer questions, and interesting stories to help us understand what God intends for us to learn from His Word. Enjoy this selection from Life Lessons: Thessalonians! In his classic book The Screwtape Letters, C.S. Lewis warned of two possible errors in thinking about demons. On one extreme is the refusal to believe in their existence. On the other extreme is the equally dangerous mistake to “feel an excessive and unhealthy interest in them.” Which of these tendencies do you most see in your own life? Explain. Paul continues to defend his ministry by reminding the Thessalonians of the message he preached when he was with them — which they accepted as the word of God — and the powerful effect it had made on them. This is a message their enemy, “the god of this age” (2 Corinthians 4:4), did not want them to hear, and he was now doing all he could to cause them to abandon their faith. Paul acknowledges the believers have endured great persecution at the hands of others, but he compels them to continue on for Christ — for the day is coming when the wrath of God will come upon those who choose to reject the message of the gospel. Read 1 Thessalonians 2:13-20 from the New International Version or the New King James Version. 13 And we also thank God continually because, when you received the word of God, which you heard from us, you accepted it not as a human word, but as it actually is, the word of God, which is indeed at work in you who believe. 14 For you, brothers and sisters, became imitators of God’s churches in Judea, which are in Christ Jesus: You suffered from your own people the same things those churches suffered from the Jews 15 who killed the Lord Jesus and the prophets and also drove us out. They displease God and are hostile to everyone 16 in their effort to keep us from speaking to the Gentiles so that they may be saved. In this way they always heap up their sins to the limit. The wrath of God has come upon them at last. 17 But, brothers and sisters, when we were orphaned by being separated from you for a short time (in person, not in thought), out of our intense longing we made every effort to see you. 18 For we wanted to come to you — certainly I, Paul, did, again and again — but Satan blocked our way. 19 For what is our hope, our joy, or the crown in which we will glory in the presence of our Lord Jesus when he comes? Is it not you? 20 Indeed, you are our glory and joy. 17 But we, brethren, having been taken away from you for a short time in presence, not in heart, endeavored more eagerly to see your face with great desire. 18 Therefore we wanted to come to you — even I, Paul, time and again — but Satan hindered us. 19 For what is our hope, or joy, or crown of rejoicing? Is it not even you in the presence of our Lord Jesus Christ at His coming? 20 For you are our glory and joy. How does Paul describe the way in which the believers in Thessalonica received the message of the gospel? What does it mean when he says that message is “at work” in them (verse 13)? Based on this passage, what kind of opposition were the believers facing? What hope did Paul offer to the believers to encourage them to persevere in their faith? In your life as a believer, when have you encountered the most opposition? What was the situation? How did you respond to that time of adversity? Paul had evidently been accused of not caring for the Thessalonian believers or wanting to see them again. What does he reveal about the true reasons for why he has not returned? When are some times in your life that you have felt blocked from doing something God called you to do? How did you persevere through those difficult situations? The question is not simply, “Who can be against us?” You could answer that one. Who is against you? Disease, inflation, corruption, exhaustion. Calamities confront, and fears imprison. Were Paul’s question, “Who can be against us?” we could list our foes much easier than we could fight them. But that is not the question. 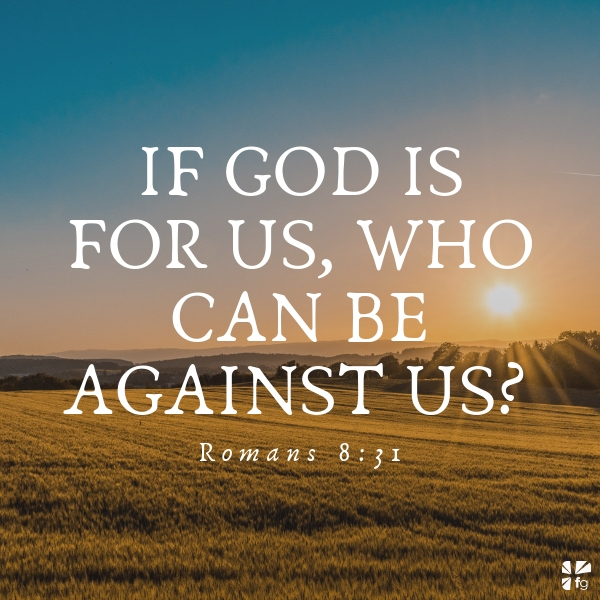 The question is, If GOD is for us, who can be against us? God is for you. Your parents may have forgotten you, your teachers may have neglected you, your siblings may be ashamed of you, but within reach of your prayers is the Maker of the oceans. God! God is for you. Had he a calendar, your birthday would be circled. If he drove a car, your name would be on his bumper. If there’s a tree in heaven, he’s carved your name in the bark. We know He has a tattoo, and we know what it says. God is with you. Knowing that, who is against you? Can death harm you now? Can disease rob your life? Can your purpose be taken or your value diminished? No. Though hell itself may set itself against you, no one can defeat you. You are protected. God is with you. Reflect on those four words from Paul: “God is for us” (Romans 8:31). When is it the hardest for you to believe that God is for you? Why? What are some ways you can see God is for you even in the midst of your current struggles? What are some of the more effective tools you have seen the enemy use to keep the gospel from spreading, the church from prospering, and Christians from growing? Based on this passage, how should you respond when you sense your plans are being hindered by the enemy? How is Paul’s perspective on difficulties helpful to you? Paul expresses his deep desire to visit and comfort the beleaguered Thessalonian believers. Who in your life is embroiled in a great spiritual struggle? How can you help that person? How would you finish this sentence: “My hope, joy, and the crown I will take pride in when Jesus comes is…”? What happens when we get credible evidence of an impending terrorist attack? Everyone goes on high alert. In every possible way, we ratchet up the level of security. We become wary and vigilant. We take special precautions. We do all these things and more, because the failure to do them could (and likely would) be catastrophic. The same is true in the spiritual realm. We have a despicable, sworn enemy. Satan has declared all-out war on Christ and His church. While the outcome of this cosmic conflict is not in doubt, careless believers can still become casualties of the evil one. Our only hope? To hide ourselves in the God who loves us. Lord, make us vigilant today. Remind us that life is war, that we are in the midst of a great cosmic struggle, and that we have an enemy who wants to destroy us. Protect us with Your armor and comfort us in our struggles. Arm us today with Your wisdom and strength. What are some ways to know whether the trials you are facing are coming as a result of Satan’s efforts to hinder you to follow God’s calling or are just a result of living in a fallen world? 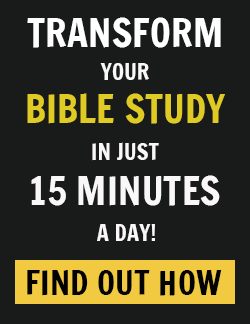 To complete the books of 1 and 2 Thessalonians during this twelve-part study, read 1 Thessalonians 2:13-20. For more Bible passages on spiritual warfare, read 2 Corinthians 10:3-5; Ephesians 6:10-19; 1 Timothy 1:18; 6:12; 2 Timothy 2:4; Hebrews 4:12; and 1 Peter 5:8. Excerpted with permission from Life Lessons: 1 & 2 Thessalonians by Max Lucado, copyright Max Lucado.